The House GOP tax plan keeps the 39.6% tax-rate for the wealthiest Americans ($1 million income for married couples), caps the mortgage interest deduction for newly purchased homes at $500,000 (down from $1 million), and will allow only $10,000 of property tax to be deducted, according to a summary released this morning. Why it matters: Lawmakers are finally seeing the full details of the proposal this morning. Already some Republicans had expressed concerns and powerful lobbying groups like homebuilders had expressed opposition. 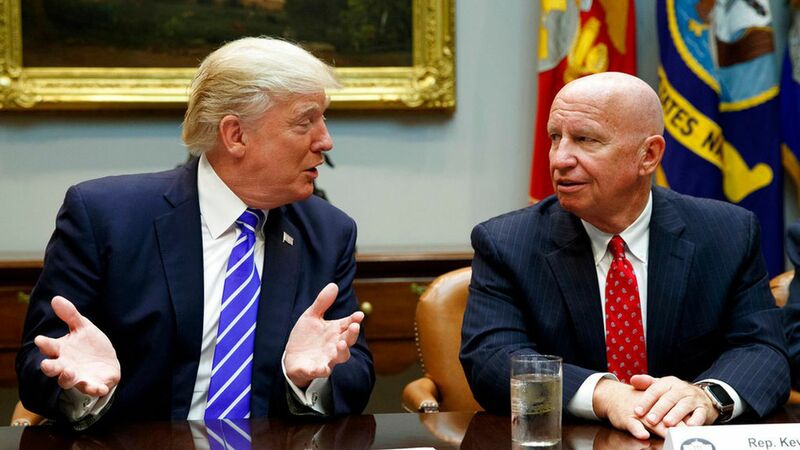 What comes next: Ways and Means Chairman Kevin Brady told reporters this morning he expects an analysis of the bill from the Joint Committee on Taxation later today, but expects it will meet the goal of increasing the deficit by no more than $1.5 trillion. Increases standard deduction from $6,350 to $12,000 for individuals and $12,700 to $24,000 for married couples. Individual tax rate brackets:25 percent rate starting at $90,000 for married couples, $45,000 for individuals (everyone below that pays a 12 percent rate).35 percent rate starting at $260,000 for married couples, $200,000 for individuals.39.6 percent rate starting at $1 million for married couples, $500,000 for individuals. Expands the Child Tax Credit from $1,000 to $1,600 and provides a credit of $300 for each parent and non-child dependent. Elimination of student loan and medical expense deductions and the adoption tax credit. Doesn't change contribution rules for 401(k)s.
Repeals the state and local tax deduction, but people can write off the cost of state and local property taxes up to $10,000. Doubles the estate tax exemption immediately and repeals the tax in six years. Lowers corporate tax rate to 20% and lowers rate for pass-through entities (often small businesses that report taxes as individuals) to 25%. There are two approaches to pass-through guardrails. The simple approach allows businesses to classify 70 percent of income as wages and 30 percent as income. The second option allows business owners to have more income classified as business income, rather than wages. Interest deductibility capped at 30 percent of interest. One-time tax on U.S. companies' repatriated foreign profits; 12 percent rate on cash and a 5 percent rate on illiquid investments, per the WSJ.